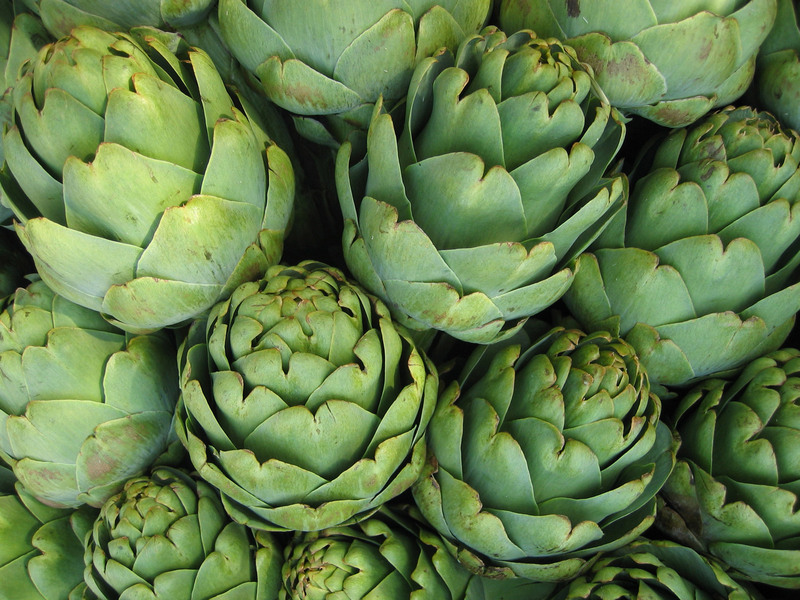 Prepare and cook artichokes as directed for Whole Artichokes (see Basic Preparation). Brown Canadian bacon slices in skillet. Poach eggs in boiling, salted water. Spread leaves of artichoke open like flower petals. Remove center petals and fuzzy centers from artichokes and discard. 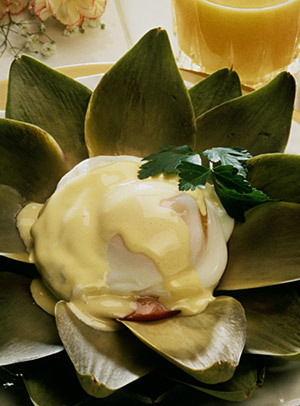 Place bacon slices into artichoke centers, covering bottom, and top with poached eggs. Spoon on Hollandaise Sauce and serve immediately. In small saucepan, heat together egg yolks, water and lemon juice. Cook over very low heat, stirring constantly, until yolk mixture bubbles at edges. Stir paprika, red pepper and salt to taste. Cover and chill if not used immediately.